If you’re building yourself a gaming rig, a solid CPU is a must. And unlike a year or two ago, your options are infinite today. With the launch of the Ryzen series, AMD changed the market dynamics completely. And thanks to the Intel-Ryzen battle, the market is flooded with high performance, value for money CPUs. So, which one’s the best for you? The one that delivers maximum performance within your budget. Finding a CPU exactly like +that isn’t as easy as it sounds. Defining the performance of a CPU isn’t limited to the number of cores and threads you get. It’s slightly more complicated. Clock speed, overclocking capabilities, PCIe lanes, compatibility, CPU sockets, power consumption, cooling solutions, and a thousand other things play an important role. And getting your CPU right matters. After all, in terms of gaming experience, the CPU has the most impact after your graphics card. So, we decided to list the best CPUs for gaming to make your life that much easier. If you’re in the market for a GPU as well, we also list the best graphics cards for gaming in our other article. Simply put, this is the best gaming processor in the market today. The 8 core, 8 thread chip is a monster of a processor that can hit speeds of up to 4.9GHz without any overclocking. The CPU has a decent 12MB L3 cache that is shared amongst all the 8 cores. Technically, the Intel i9 9900k is a better processor for general and gaming purposes alike. However, the advantage is just that – technical. The i9 almost costs $150 more and marginal performance enhancements just don’t justify that. The Ryzen 7, however, warrants a proper comparison. It is about $60 cheaper and at resolutions above 1440p, there’s not much of a difference in gaming either. Unfortunately, that’s where the problem lies. In order to gain that parity with the 9700k, you must be able to play at more than 1440p. That immediately bumps up the cost. You’ll have to spend more on your GPU and monitors. Most gamers don’t play in 4K. 1080p is pretty much still the standard. Then there’s the question of core strength. Most games today are only capable of using 4 cores. Very few use 6 or 12. So, the best gaming processors are ones which can harness the maximum performance out of a single core. To that end, IPC (Instructions Per Clock) scores are very good indicators of core strength and the simple fact is Intel scores far better than AMD Ryzen processors. All this, in the real world, translates to one thing. Depending on the game, you will see a difference of about 20-30 fps between the Intel i7 9700k and the Ryzen 7. All these aspects put together make Intel i7 9700k the best CPU for gaming today. If money is of no importance and you want the absolute best CPU for gaming out there, then this one’s for you. The i9 is a new offering from Intel. It didn’t exist until a year or two ago. Powered by an 8 core, 16 thread configuration, this processor is built for the enthusiasts. 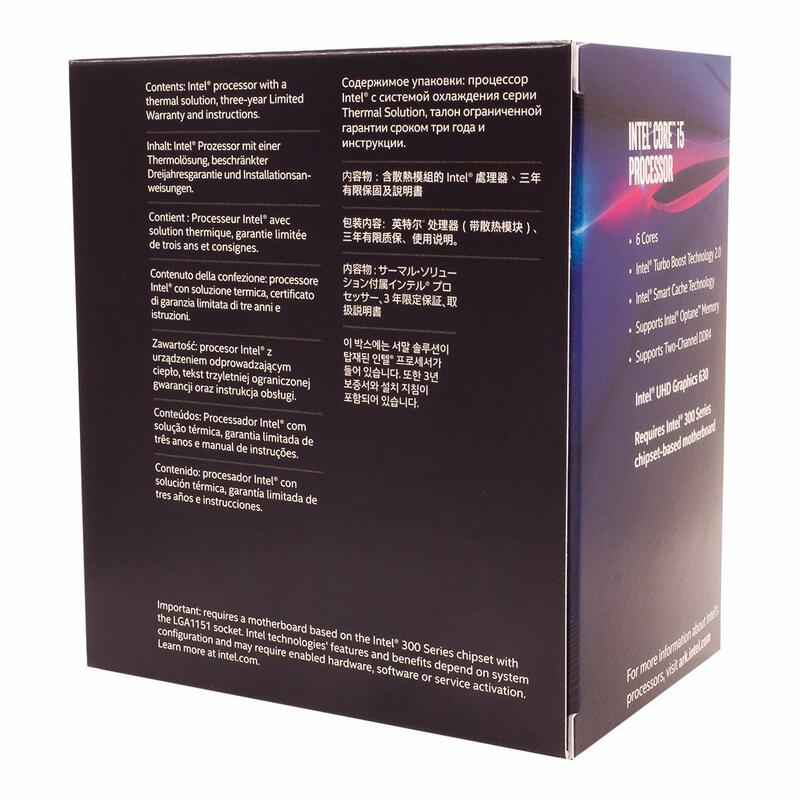 The CPU offers a 5GHz clock speed right off the box and excellent IPC scores, making it the fastest mainstream CPU ever. All this does translate into an excellent gaming experience. Not by much, though. For instance, we spoke of the i7 earlier. This i9 is definitely better, yes. But it’s by about 2% – 3%. In terms of fps, that’s about 5 or 6 fps. Depends on a few factors. If you’re building a computer that exclusively concentrates on gaming, the i9 is overkill. Get the i7. 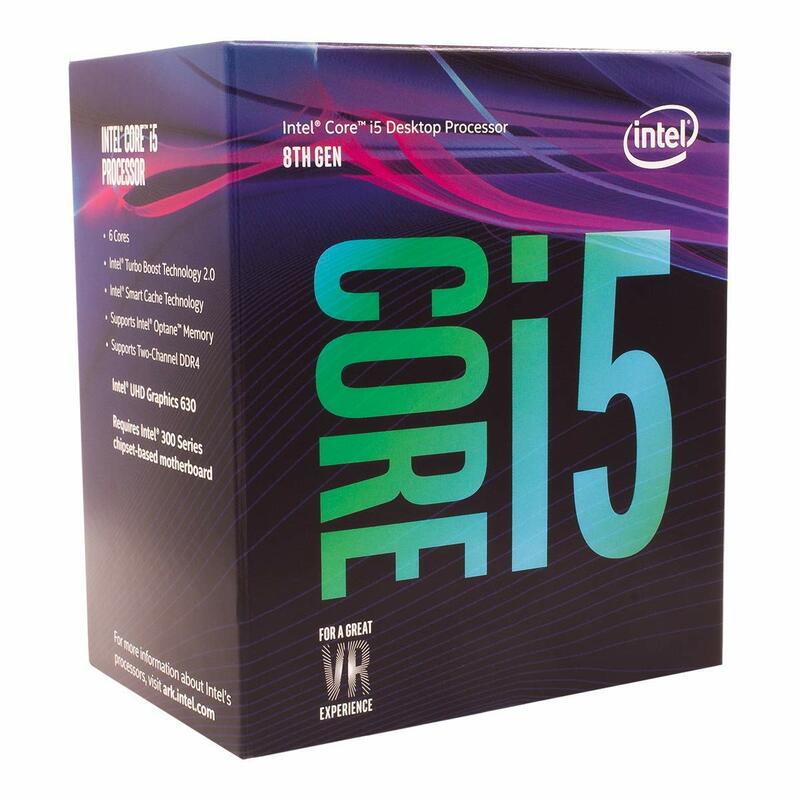 However, if you do a lot of video editing, streaming, or work with vector rendering applications, but want some gaming on the side, the i9 is far better. There are a few drawbacks to consider as well. All the 8 cores are never boosted to 5GHz. Instead, only one core is boosted to that speed. If need be, four cores can be boosted to 4.8GHz and all the eight can achieve 4.6GHz. All this vigorous speed management is done so that heat and power consumption levels are kept as low as possible. However, i9 still runs hotly. And Intel doesn’t ship a cooler with it. Even if you don’t overclock the CPU, be prepared to spend some good money on coolers. All in all, the i9 9900k is a mighty good processor that costs mighty good money. From flagship processors, we take a dive back to reality with the Ryzen 3 2200g. The reality is that most people don’t build rigs that are meant to tackle gaming alone. And they certainly don’t spend thousands of dollars doing it. If you want to game on a budget, look no further. At under $100, this is perhaps the best budget processor out there. There’s also the added benefit that it’s built with gamers in mind. The four core, four thread processor is AMD’s attempt to win over gamers who have always shunned the brand owing to bad gaming performance. While the 2200g certainly won’t break any performance or fps records, it is very attractive to buyers for one very good reason. AMD ships Vega graphics as standard, meaning you don’t have to shell out money separately for a GPU. What makes it more attractive is the fact that even the most basic graphics cards cost upwards of $150. AMD on the other hand, sell the 2200g with Vega graphics for under a $100. Just to make sure that you cannot refuse the offer, they’ll throw in a Wraith Stealth cooler as well. Overclocking enthusiasts will be better served with a separate cooling solution. Obviously, the processor is not going to top benchmark tests anytime soon. But then again, that’s not the 2200’s aim either. The idea is to give a decent gaming experience to users and at that, the Ryzen 3 2200g excels beyond par. You can play most games at no less than 30-40 fps, 1080p and experience little to no stutter or lag. As far as general, non-gaming performance goes, the processor isn’t too bad either. As long as you don’t stress it, it should do just fine. 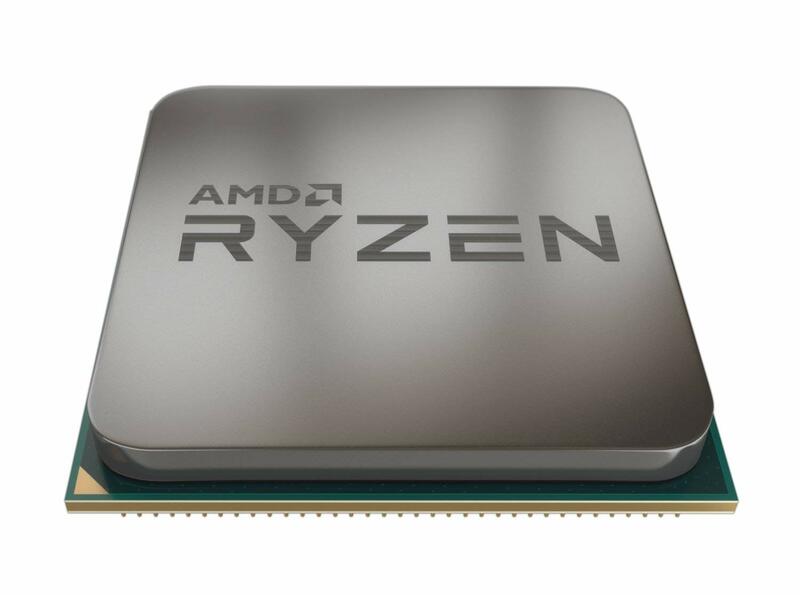 If you’re building a rig on a budget, we list the best budget gaming CPUs in a separate article, where you’ll be able to find out even more about the Ryzen 3 2200g. The Intel i5 8400 outsells every other product listed in this article by a mile. Before we get into the reasons, here’s something you need to know. If you’re a streamer or a video editor or use vector rendering applications a lot – say, professional level – this isn’t for you. The 8400 is also of no use to you if you want to play games at the very best settings possible. However, the strong point for the 8400 is the fact that it’s an excellent allrounder. Thanks to the Intel-AMD war of cores, this i5 now sports a 6 core, 6 thread configuration. While a base clock speed of 2.8GHz might sound awful, at most times, all the 6 cores running at 3.8GHz. One core can even be boosted to 4 GHz. One drawback is that there’s no overclocking. And, if you’re not a gamer, you’d be better off with an i5 8600k or the new Ryzen 5 2600x, both of which are much better at tackling multi-threaded applications. Gaming performance is where the 8400 comes into its own. Despite being considerably cheaper than the i7 processors, the i5 suffers little in terms of gaming performance. This processor when coupled with a decent GPU renders games at great resolutions and excellent frames per second. Any talk of the i5 8500 is not complete without a discussion of the Ryzen 5 2600x. The Ryzen is cheaper, offers overclocking capabilities, is better at handling multi-threaded applications, and an excellent gaming processor. But we’d still recommend the i5 if you’re building a gaming rig. While the difference between the two in terms of gaming performance isn’t vast, it’s big enough to be noticeable. Benchmark tests prove this time and again. The 8th gen flagship Intel is a complete hit with a lot of gamers. Though it’s a year old and not at the very top of benchmark results, plenty of gamers, including quite a few professional ones, love the 8700k. So, why is it so popular in the gaming community? Several. One important reason is the clock speed. The thing is, Intel was making a bit of a statement with this processor. At the time of the launch, AMD was pumping out processor after processor with a high core count. Intel wanted to prove that they could achieve more with fewer cores. And they did. 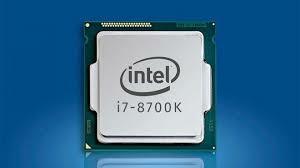 Powered by 6 cores and 12 threads, at the time of the launch, the i7 8700k was the fastest mainstream processor. It could hit clock speeds of up to 4.7GHz without any overclocking. And higher clock speeds translate to better gaming performance. Plenty of processors have entered the market since then. Some with better performance figures. However, in terms of gaming, the i7 8700k is still amongst the top 3 gaming processors you can buy. And the difference between 1, 2, and 3 isn’t vast either. In fact, the only time you can see the difference is if you use top-end graphics cards and even then, it isn’t much. For most intents and purposes, the margin is negligible. That brings us to the price. The i7 8700k is about $50 cheaper than the i7 9700k. But the difference in gaming performance is about a percent or two. Spending that extra $50 on a better GPU will pay better dividends. After all, your GPU has more impact than the processor. The other reason why many people choose the i7 8700k is simply that it’s available. 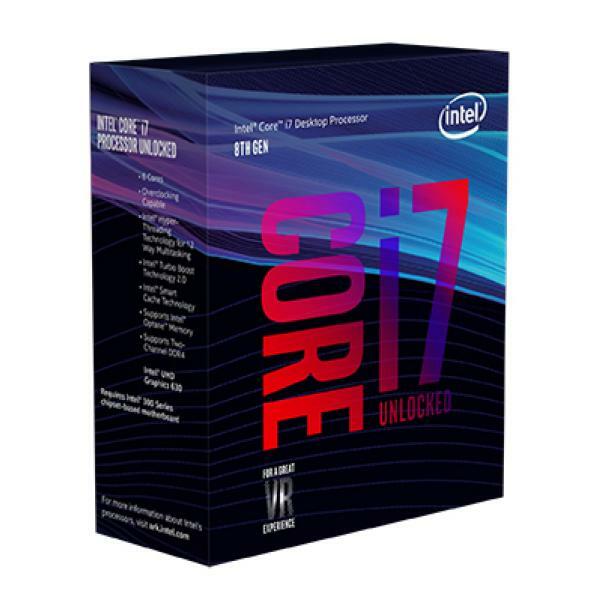 Owing to a slew of manufacturing issues, the i7 9700k is routinely out of stock in stores. Price, performance, and availability make the i7 8700k very popular in the gaming community. If you’re a fan of AMD and gaming, this is the processor for you. 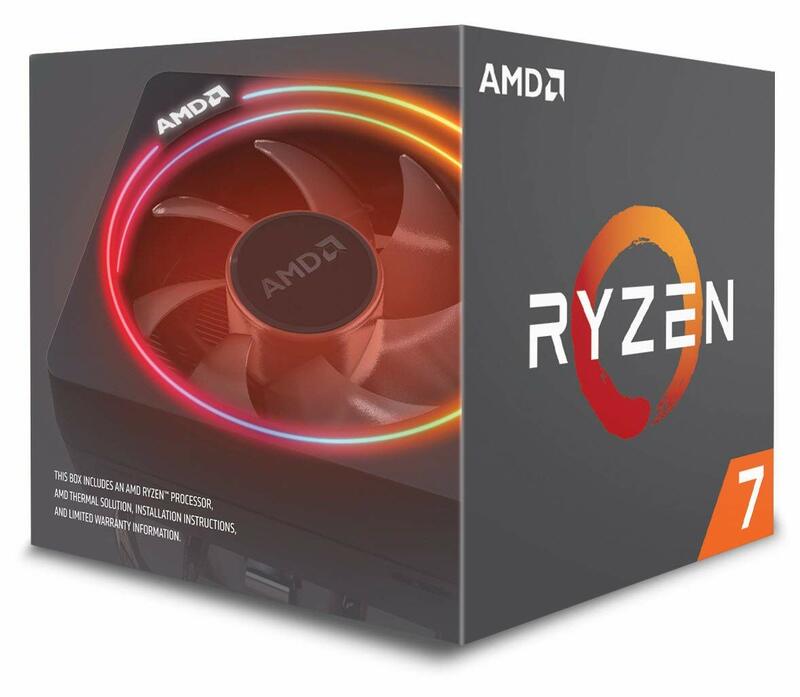 The Ryzen 7 2700x offers an 8 core, 16 thread configuration with a base clock speed of 3.7GHz and a boost clock speed of 4.3GHz. The 1700x, the predecessor of the CPU in question, had one major drawback. It wasn’t a great gaming processor. Most games never crossed the 60 – 70 fps mark. Gamers couldn’t care less about the fact that it had 8 cores and 16 threads. With the 2700x, however, things have changed quite a lot. A simple comparison with the i7 8700k – its Intel counterpart – will clear a few things up. To begin with, the 2700x is about $60 cheaper. It loses out on other things though. For example, the Ryzen tops out at 4.3GHz clock speed while the Intel reaches 4.7GHz. It’s the same story with gaming performance as well. On average, in most games, the Ryzen falls short by about 20fps. And yet, we think it’s a brilliant processor for gaming. Our reasoning is rather simple. 20fps isn’t going to change your gaming experience by a whole lot. A lower clock speed usually means that you won’t be able to render some games at the highest graphics settings. But then again, that’s not a very big deal. If you’re a casual gamer, there’s not a lot you’re missing out on. On the other hand, you’re definitely gaining 2 cores and that does matter. If you edit a lot of videos or work with 3D applications, you’ll be thankful for those extra cores and threads. If you are a fan of AMD, you should take a look at some of the best AMD gaming processors before purchasing anything. 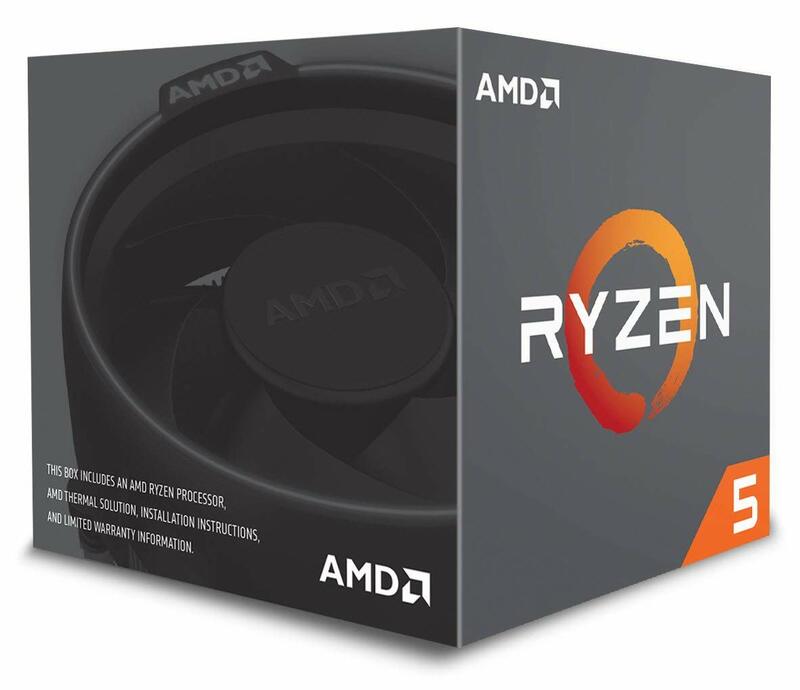 With a 6 core, 12 thread configuration, the Ryzen 5 2600x is AMD’s answer to the Intel i5 processors. It offers two cores more than its competitor and is priced slightly lower as well. And unlike its predecessor, a cooler is shipped with it as standard. The i5 8400, as previously mentioned in this list, is by far the most popular gaming processor. So, how does the Ryzen match up to it? The popularity of AMD stems from the fact that it offers more for less. More cores and threads for less money. However, cores and threads aren’t of much use to gamers. And individual AMD cores aren’t as powerful as their Intel counterparts. The result is, AMD processors are often ignored by gaming enthusiasts. AMD has taken several measures to rectify this and it has been met with mixed results. The story is pretty much the same with the Ryzen 5 2600x. It offers more cores, threads, decent clock speeds, is a little cheaper, and falls short of the Intel i5 8400 when it comes to gaming performance. It consistently lags behind Intel in most, if not all, games. And yet, it features on this list. Why? Because Ryzen 5 is an allrounder. While it lags behind the i5, the 2600x is no slouch. The gaming experience isn’t bad. The difference is pronounced only when you compare it with the i5. On its own, the 2600x holds its ground very well indeed. You can play most games at decent frame rates and resolutions. If you’re willing to compromise slightly on gaming, there are huge gains to be made. Because the Ryzen is significantly better at handling multi-threaded applications. Video editing, vector rendering applications, streaming – the 2600x is far, far better than the i5. Depends. If gaming is your primary concern, then maybe skip the Ryzen. However, if you need excellent multi-threaded performance while still being able to play games at decent settings, the Ryzen 5 2600x does not disappoint. If you’re new to gaming or indeed to CPU buying, and you’re building your first rig, know this. It’s very easy to get lost in numbers. You’ll hear people talk about all sorts of numbers, and yes, there are a lot! However, knowing just two of these will help you make a far more informed choice. Without getting into too much, here’s your cheat sheet, so to say. Always look for boost clock speed. Most cores perform closer to that figure. Anything over 3.5 – 3.6 GHz should be good enough for decent gaming. Put simply, the more the better. However, if you’re looking at an AMD processor, that ‘more’ does not translate to better when it comes to gaming performance. In fact, after 12-16 cores, it turns disastrous. Before you decide on a processor, it’s important to answer a few questions. What sort of gaming do you plan to do? Also, is this exclusively for gaming or do you plan on using heavy multi-threaded programs as well? Unless you want the very best gaming experience possible, high-end processors are overkill. If you do buy a flagship CPU, know that you’ll need to pair a flagship graphics card to get the most out of the processor. Also, these processors will produce a lot of heat and cooling solutions aren’t always shipped as standard. So, read the list again and find out what processors need separate cooling solutions. Note that power consumption will be high as well. If you do a lot of video editing, streaming, and 3D rendering on your computer, you’re infinitely better off with an AMD processor. They are significantly better and usually cheaper. Time and again, we receive a bunch of questions from people regarding their first gaming builds. We answer most of them here. Are Intel Processors Better Than AMD for Gaming? Usually, yes. There are exceptions, of course. But in general, Intel CPUs are better suited to gaming. As discussed earlier, most games can only use four cores. Very few games are capable of using 6 or 12. As a result, core strength becomes extremely important. And the fact of the matter is, today, Intel cores are far more powerful and can process much more than an AMD core. Do Processors Come With Coolers as Standard? There’s no one answer to this. Some do, some don’t. 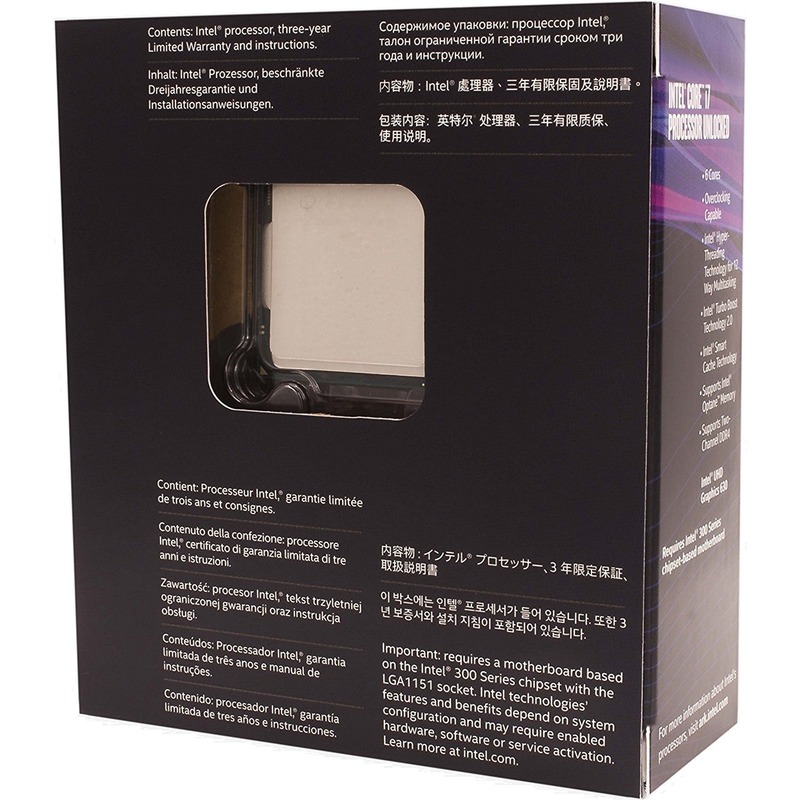 However, as a general rule, top-end, high-performance CPUs usually don’t ship with a cooler. You’ll have to buy a cooler separately. What Coolers Should I Use for My Processor? Again, it varies from processor to processor. One thing to note here is that the more power your processor consumes, the more aggressive your cooling solution must be. Overclocking in an i9 9900k is a classic case in point. The processor isn’t shipped with a cooler. If you have no intentions of overclocking, an air cooler will suffice. If you’re planning on overclocking, you will need a liquid cooling setup which is more expensive. Moral: Always look at how much power a CPU consumes and how prone it is to overheat. Decide your cooling solution based off of this information. What Processors Do Professional Gamers Use? There’s no one correct answer here. But the most popular one is the i7 8700k. We’ve covered the reasons for this in the article above. In essence, it boils down to a combination of performance, price, and availability. Why Are AMD Processors Cheaper Than Intel? This is part manufacturing and part marketing. Intel is pretty much still stuck in the 14nm manufacturing process while AMD has moved to a 12nm process and has very recently also announced a 7nm process. In essence, superior manufacturing processes allow companies to build these processors for lesser money. AMD processors are also usually cheaper because Intel is a far more established brand. It’ll take a lot to entice customers to switch over. And nothing is more alluring than lower costs. Is Overclocking Relevant to Gaming? Overclocking does affect gaming performance, yes. How much difference it makes differs from processor to processor. It also depends on how much you overclock the CPU. However, it’s important to note that overclocking increases the power consumption of the processor and also heats it up. This will usually call for reinforcements in the cooling departments. If you’re new to overclocking, make sure you read up on it first. Also, most gamers don’t overclock their CPUs. If there’s one thing you need to know about bottlenecking, it’s that it’s not such a big issue. In essence, if your CPU cannot keep up with the speed at which your GPU is sending instructions, you’ll suffer from bottlenecking. While this was a genuine concern till about a year or two ago, it isn’t now. The latest Coffee Lake Intel processors and AMD Ryzen processors can easily keep up with GPUs. The only thing to note is that a CPU must be paired to a hierarchically identical GPU. A high-end GPU paired with an entry-level gaming CPU will lead to bottlenecking for sure. Then again, that problem exists more in theory than in the real world. You can’t go wrong with any of the products listed above. They are all excellent CPUs for gaming. The buying guide and FAQ are to help you make a more informed choice. Also, know that your GPU is more important when it comes to gaming experience. A killer CPU paired with a mediocre GPU won’t deliver. So, make sure you choose the best graphics card that your budget allows you to. Finally, you know we love hearing from you. Let us know the specs of your rig in the comments below.